Few days ago were released first more detailed informations about latest chapter of the Beyond season which should bring bigger changes to the ED. And it really looks like it will have big impact on play, especially exploration. Personally I want wait for ingame application (mean I want test it myself) before making any final judgenment ... however first feeling are positive. Will Flanagan (Community Manager): Hello Commanders! All new "First mapped": You'll be able to add a first mapped across any planet within the galaxy, including within the bubble. Giving all players that have joined the game since it's launch even more opportunity to make their mark on the galaxy. Because explorers ply their trade far from civilized space, we’ve decided to not add new module requirements. Instead, we’re improving the discovery scanner_ and detailed surface scanner_ so Commanders can jump right in as soon as the update is released, without having to spend time traveling back to a port to purchase new gear. When you activate the discovery scanner_ you will now be taken to an all-new scanning interface and view. In this augmented camera view you are able to interrogate the system using new functionality of the scanner_. As you move the view around, you are aiming your discovery scanner_ sensors. To aid you, the discovery scanner_ view also features a repeating sweep of gravitational disturbance detected in the system. You can use this sweep to narrow your search for stellar bodies, as well as start your search around the star's orbital plane, which is revealed by the initial system scan. Once you have a candidate origin, you can use the scanner_ to reconstruct a massively zoomed in view. If you aimed precisely enough, you will discover the stellar body. If there are a number of stellar bodies in relative close proximity to your focus, you may need to repeat the process to isolate individual signals. Importantly, when you uncover a planet using the discovery scanner_, as well as being informed of the resources available on it, the presence of unusual locations, such as Guardian_ sites, will also be revealed. However, their precise location won’t be shown until you have mapped the planet with the detailed surface scanner_. Again, this module will not be replaced. 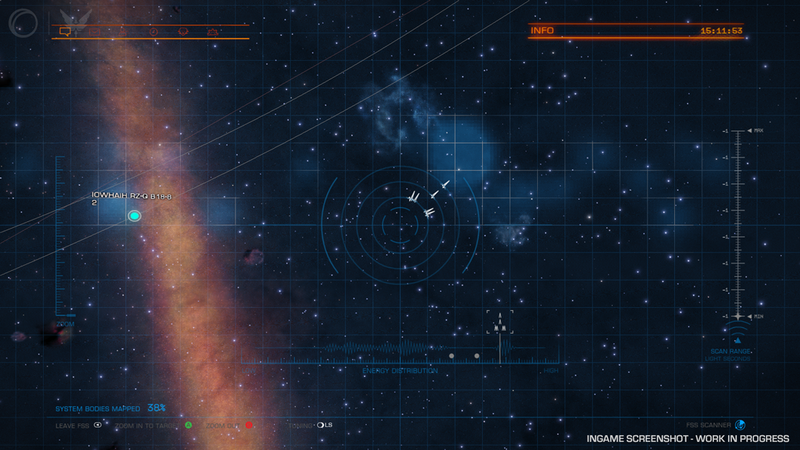 Instead, the detailed surface scanner_ gains the ability to launch micro sensor probes in supercruise. You will use these probes to “map” a planet’s surface and locate resource hotspots in its rings. These flight-assisted probes are launched via a new aiming interface when activating the detailed surface scanner_. The probes will arc towards a planet’s surface and when close enough will “display” sensor coverage over a large area. Once enough of the surface has coverage, the probes will collate and report their findings. 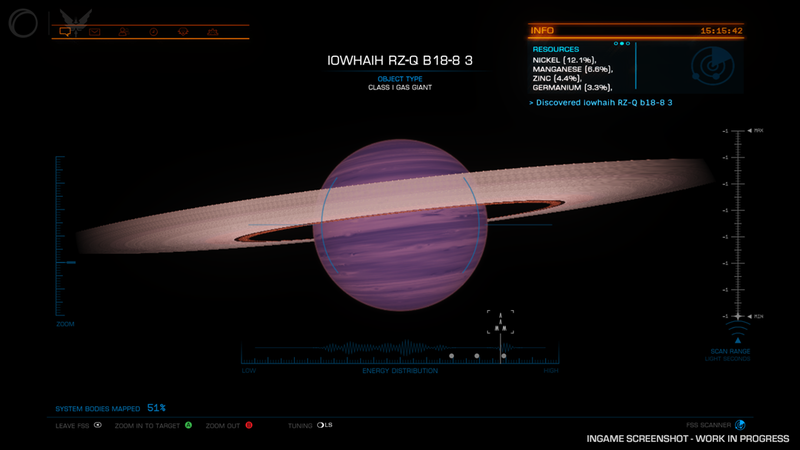 To map rings around a planet you need to hit each ring with a single probe. You will be able to synthesise micro-probes for the detailed surface scanner_, but the better aim you are, the less probes you will need to get complete coverage. As part of the exploration update, we are making sure that multi-crew members can use the discovery scanner_ and detailed surface scanner_ at the same time and all discoveries are shared among crew or wing. This allows wings or commanders in multi-crew to engage in exploration together, each earning credits_ and exploration rank and making the process more efficient. Edited 2 times, last by Martind Forlon ( Sep 15th 2018 ).